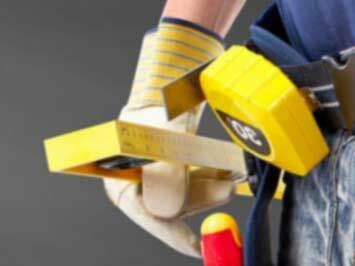 Cashbuild is a builder's delight and your one stop shop for all your DIY and renovation needs. The company thrives with experience of 37 years in the industry and is a leading brand for affordability and quality materials. Cashbuild products include a vast selection of indoor and outdoor materials, for all your plumbing requirements or building needs. Some products include doors and windows, lighting, bathroom, paint, hand tools, garden tools, plumbing, and security just to name a few. Cashbuild prices are affordable and are available for commercial and domestic customer purchases. The Cashbuild online shopping facility is available only in the Gauteng region at this stage. Cashbuild has a long journey that leads to its experience of more than 37 years of experience in the building industry and understands the customer and market and thus is able to bring customers specialised services and products in the building industry. Since Cashbuild hardware started it has successfully managed to grow and now boasts more than 233 stores throughout South Africa, Malawi, Lesotho, Namibia, Botswana and Swaziland. With an employment rate of staff 4,738 the company still continues to grow and has been listed on the JSE since 1986. The company strives to maintain good relations with both customers and suppliers, this is also a key factor to the success of Cashbuild over the years. Cashbuild has a wide selection of building supplies and raw materials as well as items you could use to renovate your home whether it is built-in cupboards, bathtub and basin, tap fittings, wood and more. Cashbuild thrives on providing quality materials at affordable prices to the public for both commercial and domestic industries, excellent building products for cash. Whether you are looking for planks to build a deck, or heavy building materials, visit the Cashbuild website and have a look at the Cashbuild specials catalogue. The Cashbuild website offers a DIY Cashbuild calculator to assist you with calculations in volume and quantity, plus online tips to help you with your building projects. The Cashbuild VIC Loyalty card is available to all frequent shoppers and affords rewards like special savings on selected items, contact a store for more details or visit the online website to apply for your card today. Do you want to receive more Cashbuild deals by email?